A.Walecka & Son, Inc. is a family owned and operated company, located in West Wareham, MA. Adolf Walecka and his son Norris A. Walecka Sr. founded the company in New Bedford, MA in 1932. As time has progressed, the Walecka family is still operating the company, in the 75th year and 4th generation in the moving industry. The Walecka family, and the many people we have worked with over the years, are proud of the service we provide. 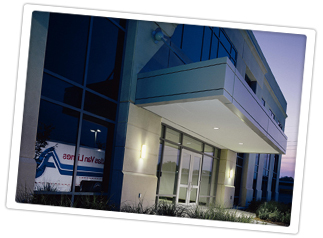 Our goal, putting each customers' needs first, ensures a quality relocation. The company operated out of several facilities over the years, expanding as needed, in the New Bedford area. For most of the 1960's, 70's and 80's the company operated in a spacious 4-floor warehouse in New Bedford, MA. The company successfully serviced COD customers, fulfilled military contracts and warehoused a multitude of residential and commercial goods. Though the building served its purpose well, the changing economic climate facilitated change. In 1985 the main operations moved to a modern moving facility in West Wareham, MA. The new facility is strategically located 50 miles south of Boston, 45 miles east of Providence and 20 west of Cape Cod. The new building has enabled the organization to work more efficiently and increase the operational capability. These changes allow the business to service several demographic locations with realistic expectations. The building specifications include freight truck accessibility, moving van accessibility, ground loading capability, truck repair garage, 70' truck scale, 24 hour video surveillance and on site fuel pumps. In 2003, the company again expanded to build another larger warehouse, located directly behind the existing one. The primary function of this building is commercial warehousing, distribution and record storage. The unique designs of this building are the entire warehouse is equipped with adjustable palletized racking and a climate and humidity control system. Today all of the company's operations are in West Wareham, MA.